EDINBURG — For the first time in about five years, undergraduate students will have the opportunity to receive Pell Grants to cover summer courses, a move that educators hope will increase summer enrollment. Pell Grants are federal subsidies awarded to students who have proven financial need as determined by their FAFSA application — Free Application for Federal Student Aid — and typically cover full-time status for up to 24 credit hours, usually taken during the fall and spring semesters. This year the U.S. Department of Education changed policy and is providing funding for those seeking to pursue at least six credit hours during the summer, even if they’ve already exhausted the 24-credit limit during the fall and spring semesters. A similar change happened in 2011 when students were provided grants during the summer, but only if 24 hours where completed during the fall and spring semesters. At that time summer enrollment increased by 10 percent, but the additional funds were taken away two years later, said Magdalena Hinojosa, UTRGV vice president for strategic enrollment. This year, however, the extension came with additional flexibility allowing qualifying students who took less than 24 hours during spring and summer to still receive funding for the summer semesters. This could be of greater impact to students in the area who don’t always have the resources and time to attend full time. “This is an exciting opportunity for our students because it helps part-time students as well as full-time students,” Hinojosa said, adding UTRGV currently has 16,000 Pell Grant-eligible students. The new policy requires students to take at least six credit hours during the summer, which can be taken all at once during one summer session or divided into the two summer sessions. Returning students who have already filled out FAFSA applications for the current academic year — 2017-18 — don’t have to fill out additional paperwork for the summer grants. 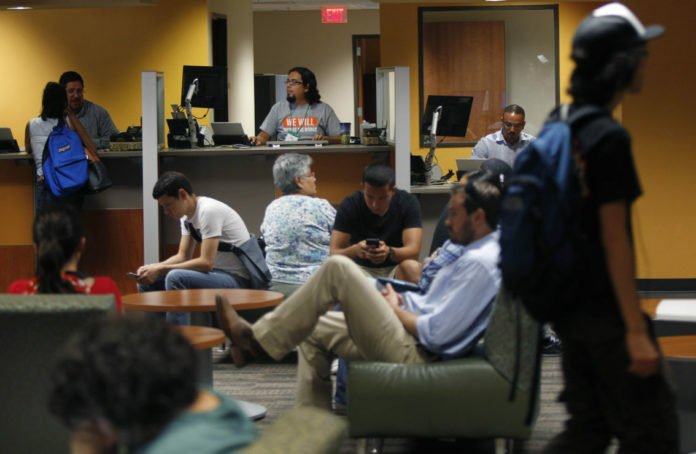 They only have to inquire with the Financial Aid department by mid-March to see if they are eligible for additional funding, said Jael Perez, associate director of financial aid at UTRGV. Those who have not filled out this application can still do so, as the 2017-18 application will be available until June 30, but Perez advises to complete the process as soon as possible as funding will start being allocated in March. This could apply mainly for entering freshman as most applicants probably completed the 2018-19 application only. There is no indication how long the new summer-funding policy will continue.